Numerous published studies reveal how live-virus vaccines like MMR (measles, mumps and rubella) actually shed these diseases for many weeks or even months following vaccination, potentially infecting others, both vaccinated and unvaccinated. This means that any child who was recently given an MMR vaccine is a walking disease-spreader, a truth that the media is refusing to report as even just a possibility in this case. 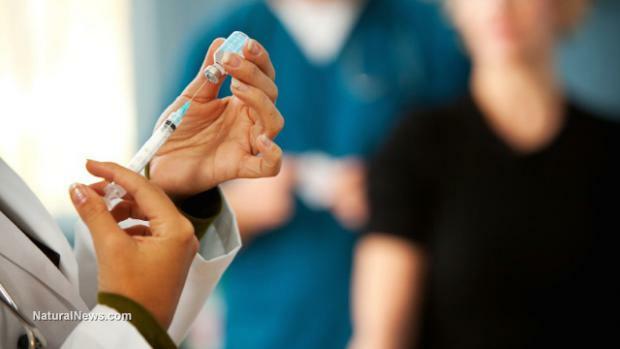 The fact that vaccinated individuals can and do carry around contagious measles for many weeks while displaying no symptoms of the disease suggests that this latest outbreak might just be another example of a vaccine-strain outbreak. While a handful of the roughly 100 measles cases identified so far have tested out as wild genotype B3 measles, according to the latest reports, the original source of the outbreak has yet to be identified. "Numerous scientific studies indicate that children who receive a live virus vaccination can shed the disease and infect others for weeks or even months afterwards," said Leslie Manookian, a documentary filmmaker and activist. "Thus, parents who vaccinate their children can indeed put others at risk."